On waking up to the announcement by Microsoft of their new ‘Hololense’ headset I can’t help but notice that ‘Augmented Reality’ appears to be brushing off the cobwebs and making a comeback for 2015. Now, I know I’m writing this only 3 days after the discontinuation of Google Glass from the Play Store, however over the past few weeks I have almost heard more about new Augmented Reality(AR) than that of its trendier limelight-hogging brother ‘Virtual Reality’ (VR). The resurrection of Augmented Reality this time is not coming to us in the form mobile apps which had us placing IKEA furniture virtually in our homes and trying on a plethora of Burberry Beauty Box nail polish shades without even a drop of paint. This time we are seeing a flirtation between the concept of Augmented Reality and Virtual Reality. The Consumer Electronics Show (CES) in Las Vegas, held at the beginning of this month, was a hotbed of this new wave of Augmented Reality on ‘roids. Technical Illusions introduced us to their CastAR gasses used to project 3D Augmented Reality holographics right in front of you and. 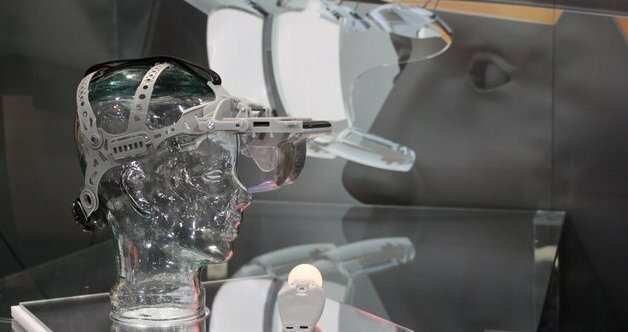 Located in the center of the glasses is a highly accurate tracking camera that is used to determine your absolute head position and orientation. By attaching the optional clip-ons you can easily turn the glasses into a fully immersive Virtual Reality device. 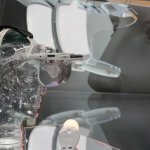 SeeBright showcased their SeeBright Wave head mounted display system (above) which will be launching on Kickstarter in February. The Wave’s unique optical design features a transparent display which boasts of the widest field of view yet. 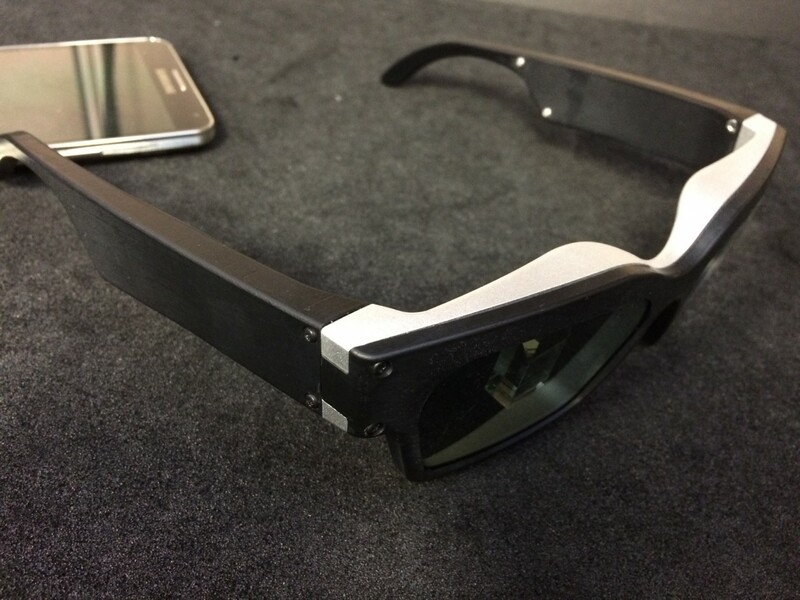 Multi-mirror optics are used to reflect high quality visual overlays enabling 3D stereoscopic image projection straight from a phone. Six15 Technologies have also introduced a new wearable Bluetooth headset designed for heads-up data delivery and text messaging. The glasses prevent the classic texting whilst walking-into lamppost fail, enabling users to email and text on the move without even having looking down to a phone. 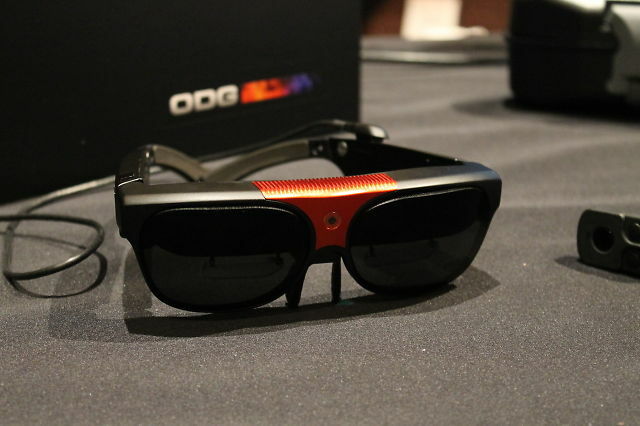 Also catching the AR-resurgence wave was the established Osterhout Design Group (ODG) who unveiled a consumer-oriented, aviator-style version of their Smart Glasses System. 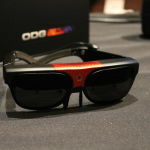 ODG has spent six years developing their AR Smart Glasses, working with customers in the government arena and corporate partners to advance its technology. 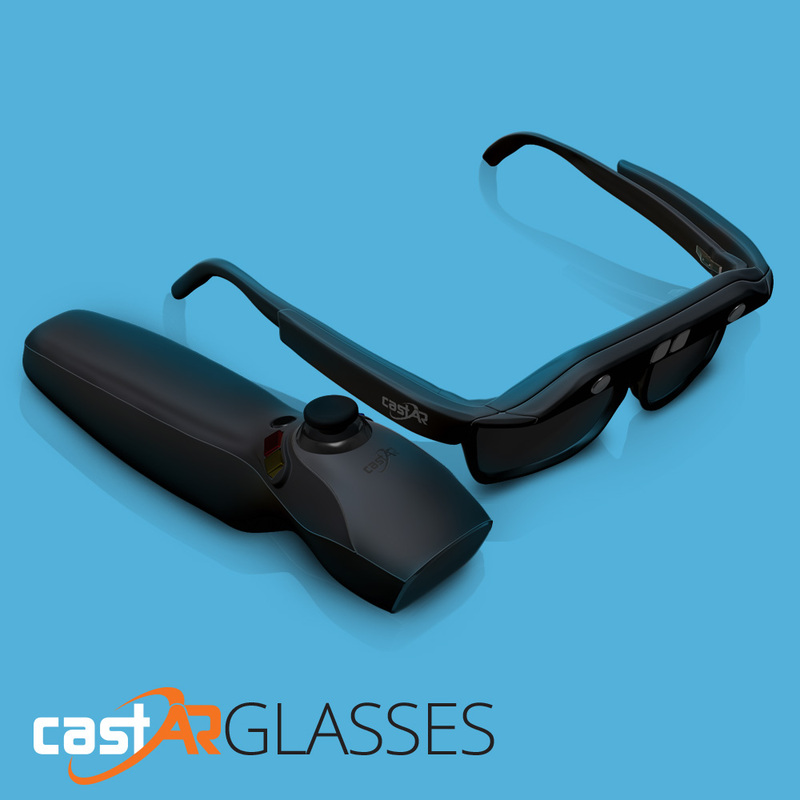 Their Smart Glasses allow users to do everything they do with a tablet, with 3D graphics overlaid and in a true, hands free format. 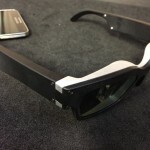 Positional sensors within the Glasses know where you are, where you’re looking, and how you’re moving, enabling precise AR and exciting VR experiences. 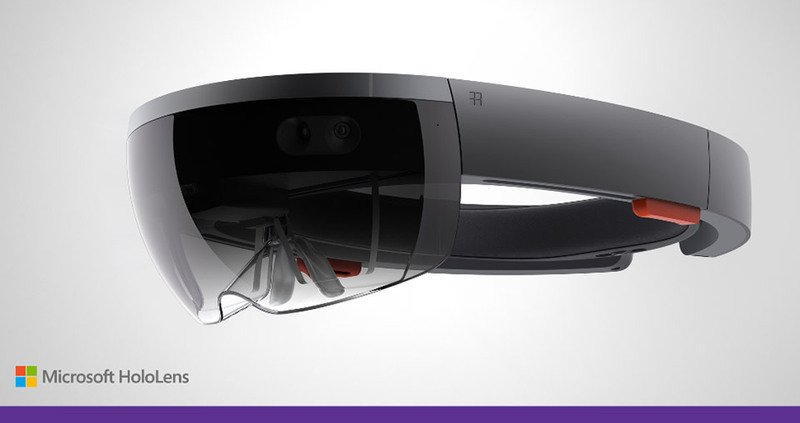 And finally, Microsoft’s ‘HoloLens’. From what I can see, the gray, polished headset is currently a far cry away from what their glossy advertising video presents us with, however the technology looks to be an interesting addition to the Augmented Reality arena. It will be great to witness a functioning ‘all-in-one’ device that requires no messy external inputs and brings together current available technologies such as depth camera, infrared sensing as seen in the Microsoft Kinect and spatial audio as demoed recently by Oculus’ Crescent Bay prototype. With the sheer volume of recent additions to its catalog of devices it is clear that Augmented Reality is once again fighting to reclaim its spot at the top of online publications and win back the hearts of the tech-set. 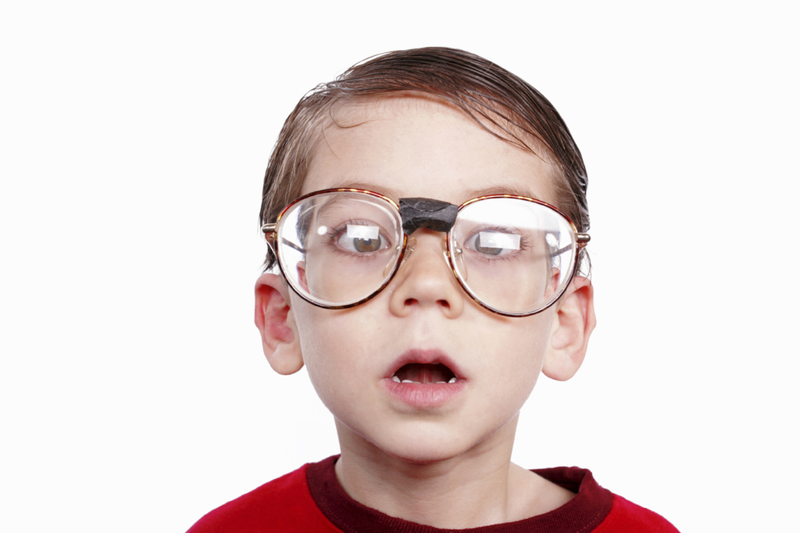 I think only time will tell if the R&D and battling to get it back up there will be effective enough to overcome the shortcomings of Google Glass.